Margaret Plantagenet was the daughter of George, duke of Clarence, and Isabelle Neville, the elder sister of Anne Neville, whom we've met before. Margaret's father was Shakespeare's "false, fleeting, perjur'd Clarence," the middle brother who did not become king despite his own desperate, if inept, plotting and maneuvering with his father-in-law, Warwick "the kingmaker." and that has been "reidentified"
Margaret Pole, countess of Salisbury"
Margaret survived the internecine conflict of the Wars of the Roses: her father was executed for treason, after plotting against his elder brother, King Edward IV, his lands and titles forfeit. When Richard III, her father's younger brother, usurped the throne and became king in 1483 (Richard’s wife, Anne Neville, was Margaret's aunt), the ten-year-old Margaret was declared illegitimate, and any claim she may have had to the throne was denied to her because of her father's treason. But Margaret survived the defeat of her uncle, Richard III, at the battle of Bosworth in 1485. As soon as he became king, Henry Tudor married Margaret's cousin, Elizabeth of York (Edward IV's daughter). Because of the dynastic significance of Clarence's children, Henry VII kept Margaret's ten-year-old brother, Edward, in the Tower, and he arranged for Margaret's marriage in 1487 to his cousin and supporter, Richard Pole, thus ensuring that she would not become the focus of any further rebellions. While her brother was executed for treason in 1499 after the Perkin Warbeck conspiracy (Edward had remained in the Tower, but he "admitted" he had been part of the conspiracy), Margaret became a lady-in-waiting to Catherine of Aragon in 1501 when the Spanish princess married Henry VII's heir, Arthur. Catherine's court was dissolved in 1502, after Arthur's death, and by 1504, just thirty-one years old, Margaret herself was widowed. 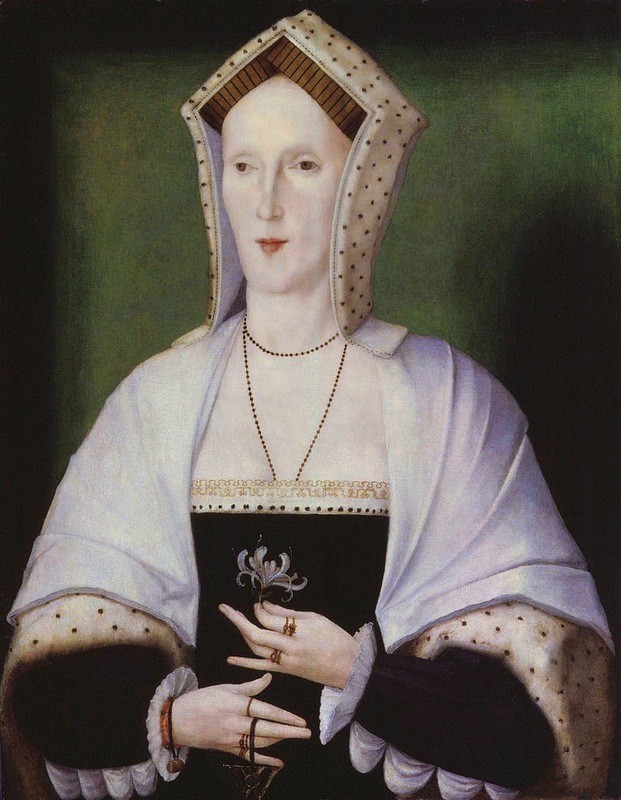 She had five children and a difficult financial situation, but after Henry VIII became king in 1509 and married Catherine of Aragon, Margaret Pole's personal and financial situation improved. She again became lady-in-waiting to Catherine of Aragon, but this time to Queen Catherine. Some of the Warwick lands were restored to Margaret in 1512, and she became countess of Salisbury, a peer of the realm, in her own name. Although she had dedicated her son Reginald to the church during her period of straitened finances, her improved circumstances meant she could now arrange reasonably satisfactory marriages for her four remaining children, Henry, Geoffrey, Arthur, and Ursula. She eventually became governess to the Princess Mary after her birth in 1520. As the marriage between Queen Catherine and King Henry failed, Margaret Pole remained loyal to the queen and the princess and suffered the consequences--though after Anne Boleyn's execution in 1536, she returned briefly to favor and the court. But a series of rebellions in the north of England in 1538 posed yet another threat to Henry VIII--and among those involved in them were Margaret Pole's sons, Henry Pole, lord Montagu, and Sir Geoffrey Pole. On the continent, Cardinal Reginald Pole had declared his opposition to the royal supremacy and continued his resistance to the king. Under suspicion of treason, Margaret Pole and her two sons were arrested and sent to the Tower in November 1538. In January 1539, Sir Geoffrey received a pardon, but Henry Pole was convicted of treason and executed. Margaret Pole was thoroughly investigated and repeatedly questioned about her own activities, and although she survived the round of executions in 1539, she was attainted for treason the following May and stripped of all titles. She remained in the Tower until 1541, when yet one more conspiracy resulted in her horrific execution. Sixty-eight years old, she was hacked to death on Tower Green on 27 May 1541. Margaret Pole, countess of Salisbury, was beatified on 29 December 1886 by Pope Leo XIII. There is a good biographical essay from the Dictionary of National Biography at Luminarium, which you can access by clicking here. You may also be interested in Hazel Pierce's excellent full-length biography, Margaret Pole, Countess of Salisbury, 1473-1541: Loyalty, Lineage and Leadership.